1000 £ BEND occupies the former Peter Stevens motorbike repair garage on Little Lonsdale street just up from Elizabeth, and certainly still has an industrial workshop look from outside, complete with a barred smoking terrace/cell, graffiti and a couple of smallish signs advertising it's presence. It reminded me a little of the illegal bars of late 90's Berlin. 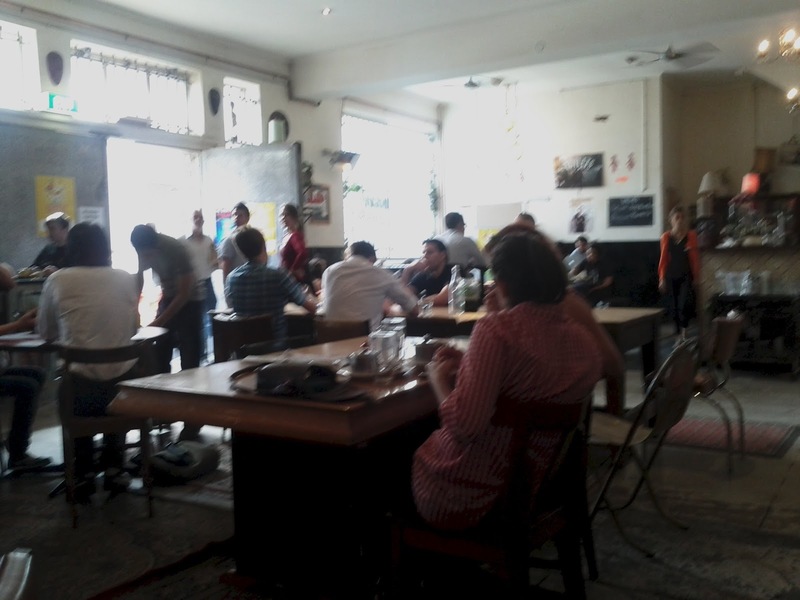 We only visited the café, and didn't check out the gallery, event space or conditioned cinema. The décor is eclectic and makes the big space feel pretty cosy. 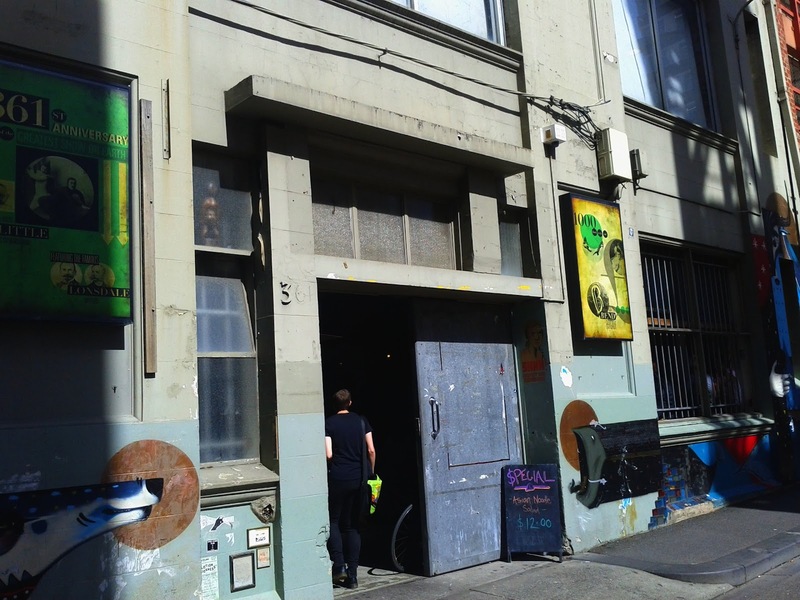 It was set up in 2009 following the closure of St Jerome’s laneway bar, which begat the festival which now has its home at Footscray Arts Centre. The free wi-fi seemed to help to attract a youngish arty type crowd who filled most of the space. 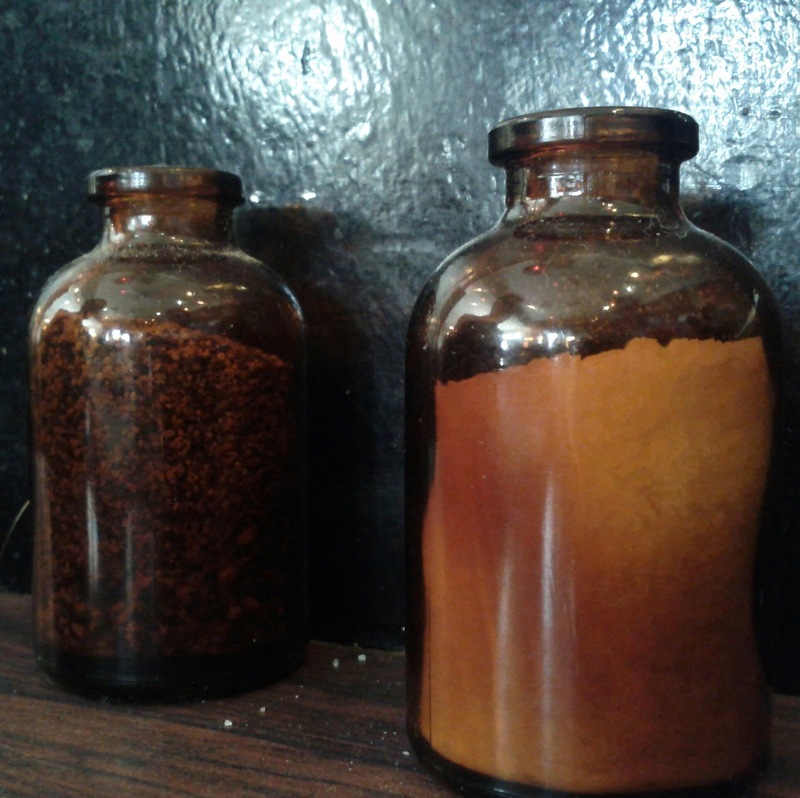 I'd read a range of reviews on urbanspoon which criticised the service and attitude of the staff. We went straight to the counter to order our food, were served pretty quickly by a friendly waitress and then found a spot to await its arrival. The dishes didn't appear that quickly but wasn't particularly slow given how busy it was. 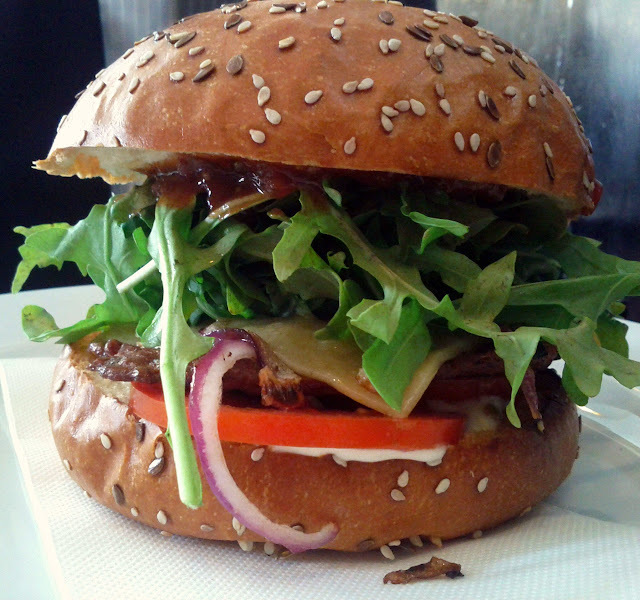 Phil had the Roo burger, which I'd thought about which came stacked with cheese, tomato, rocket, relish, aioli and onion. It was too big for him to attempt to eat whole especially while in office attire, but he really enjoyed it, the burger was well cooked and he particularly liked the aioli and relish. 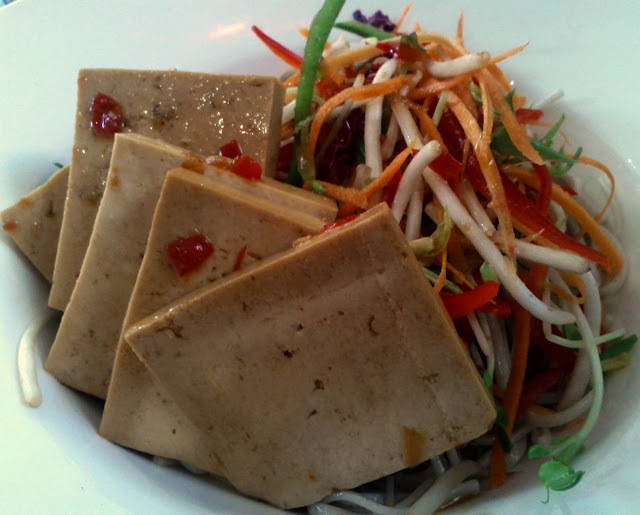 I went for the special of buckwheat noodle salad with asian herbs, vegetables, marinated tofu and miso mirin dressing. The big slices of tofu looked a little full on to start with, but they worked nicely with the rest of the salad and the herbs and dressing made it into a tasty dish. As a cool cafe space, I felt 1000 £ BEND worked well, and I'd go back if I was around that part of town and fancied a lightish meal, or coffee and some internet time. Our meals were around $12.50 each.